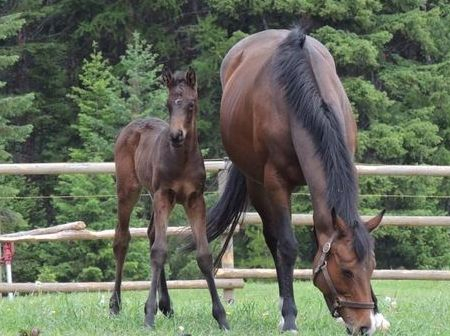 King's Song- (Neala)- May 13, 2015 IDSH filly by King's Ransom and out of Muchmusic. This is our second foal between these two horses and they are proving to be an exceptional match! 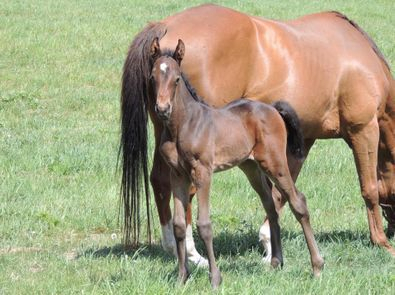 We are looking forward to watching this lovely filly grow up. King's Prospect (Quinn)- May 20, 2015; IDSH colt by King's Ransom and out of Trieste Lady. Quinn is a big, athletic colt and we are very excited to see what he becomes! !